Veteran tight end Jared Cook has agreed to sign with the Saints, and we had heard that the Patriots were monitoring his market prior to that decision. However, it seems as though New England’s interest went beyond the monitoring stage. Per Mike Reiss of ESPN.com, a source close to Cook said the Pats aggressively courted the soon-to-be 32-year-old, who chose New Orleans instead because of the uncertain status of Rob Gronkowski. Gronk has still not committed to playing in 2019, but he may be leaning in that direction, so the Saints offer a clearer path to the top of the tight end depth chart. The Patriots’ pursuit of Cook does not necessarily mean that they believe Gronkowski will choose to retire. If Gronk retires, Cook certainly would have been a worthy replacement, but if Gronkowski comes back, he and Cook could have teamed up to create a formidable tight end tandem (a la Gronkowski and Aaron Hernandez). Indeed, New England is in need of receiving help any way it can get it. The club made a push to sign free agent wideout Adam Humphries, and it was also in on Cole Beasley. Humphries and Beasley ended up signing with the Titans and Bills, respectively, outfits that do not profile as legitimate championship contenders in 2019. Meanwhile, the Patriots have made a series of more low-key transactions, adding wideouts Maurice Harris and Bruce Ellington and re-signing Phillip Dorsett. Those deals could end up paying dividends, and it is never wise to discount New England’s offense, but the team would probably be feeling a bit better if Cook were in the fold. 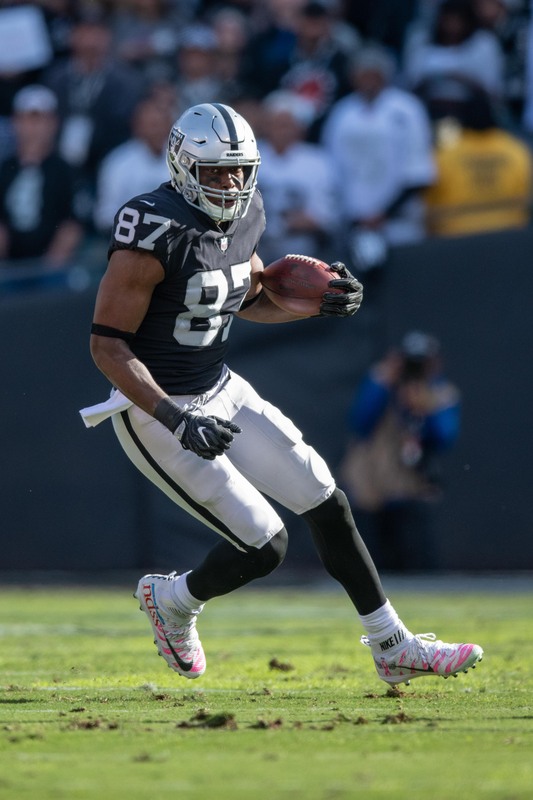 Can the Raiders trade Antonio brown? He was great to watch in college at South Carolina. Would not worry about the offense it seems whoever they plug-in performs at an all pro level. We will be fine. Well with 3 picks (32, 56, 64) in the first 2 rounds and solid receivers that will be available at those spots they have some options available to them. Wait to see which guys fall to you or perhaps trade 2 of those picks to move up into the middle of the 1st round and get one of the Iowa tight ends. If there is a tight end or receiver in this draft that Bill wants then he will find a way to get him. I wonder if all these FA receivers are not signing with Pats because they’re afraid both Brady & Belichick will be retiring in the next 2 years? Doubtful, most of them are 1-2 year deals for NE anyways.